The ideal beginner yoga mat, our 1/4" Printed Alignment Yoga Mat is an effective way to help new yoga students learn postures. 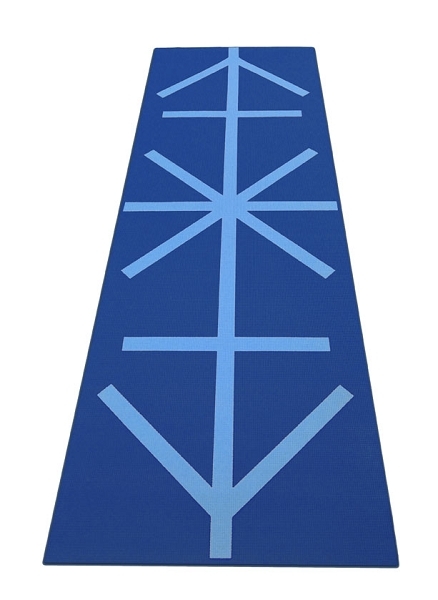 This custom mat has strategically placed horizontal, vertical and diagonal lines that can be used as guides for the hands and feet as well as aligning arms and legs. 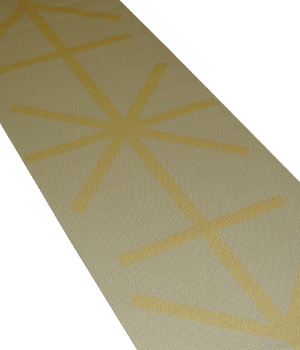 The printed alignment yoga mat is made of textured, non-slip durable foam. Consider custom printing this yoga mat with your studio logo for your beginner level yoga classes. A great choice to provide to students taking beginner yoga classes, or to offer aspiring yoga teachers currently in training, the 1/4" thick Printed Alignment Yoga Mat is the best tool to help Yogis perfect their postures. This special mat has a series of strategically placed horizontal, vertical, and diagonal lines used as guides for the hands and feet, allowing Yogis to get the most out of each posture. The Printed Alignment Yoga Mat is contructed of the same textured, no-slip durable foam as our regular 1/4" yoga mats, and is also able to be custom printed with your own company or studio logo or design. I ordered 26 blue alignment mats for a beginners yoga class. They have been perfect for directing proper foot and hand placement. My students love them. the grip is good and thickness is enough for my older students as well. This mat has helped with my personal practice immensely! It allows for me to work on alignment, without looking like. The design, to the non-yogi, looks like a design. My students love this mat. It provides just the right amount of padding for sitting and kneeling, it is not slippery, and the lines are helpful for virtually every pose. As a teacher, I like it because I can easily see the placement and angles of feet, hands and legs. It is also easier to guide the students into the poses by referring to the guidelines on the mat. I wish the mat came in more than blue and beige. Being a senior citizen and new to yoga, I especially like the cushiness and having lines to help with placement. Reasonably priced ! This mat makes it super easy to spot-check alignment in standing poses--very helpful in my Iyengar practice. Thought it might be too cushy (and therefore less stable) but it's only a problem for me with one-legged balancing. Love this. The lines are a great idea. The product was shipped and delivered ahead of schedule. The recipient is enjoying using the mat. Excellent quality mat, reasonably priced. Great especially for new students and for older students because of thickness and alignment lines.